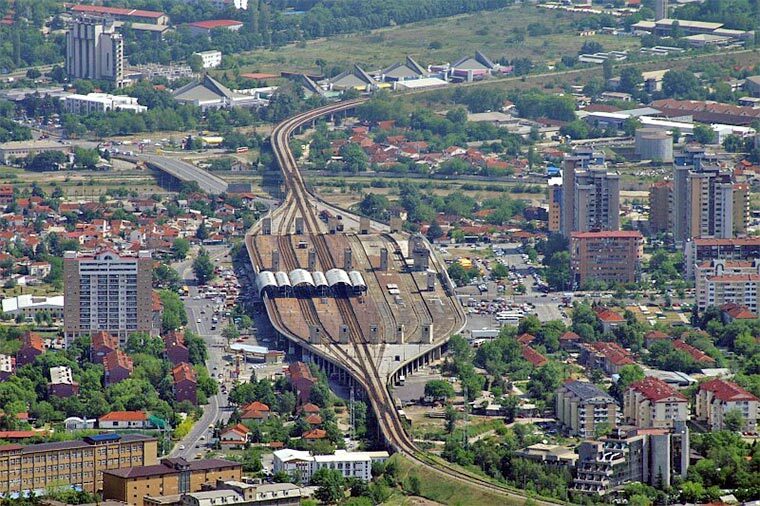 Skopje has a highway link since the 1980's. Today Skopje is accessed by E-75 from Athens and Belgrade and E-65 from Pristina, E-871 linking with E-75 from Sophia and E-852 linking with E-65 from Tirana. The Skopje Northern Bypass, as part of all these highway route has been finished in 2008. Skopje is served by the Skopje airport - Alexander The Great (SKP) in Petrovec, 17 km east of Skopje. The airport was recently reconstructed in 2011. 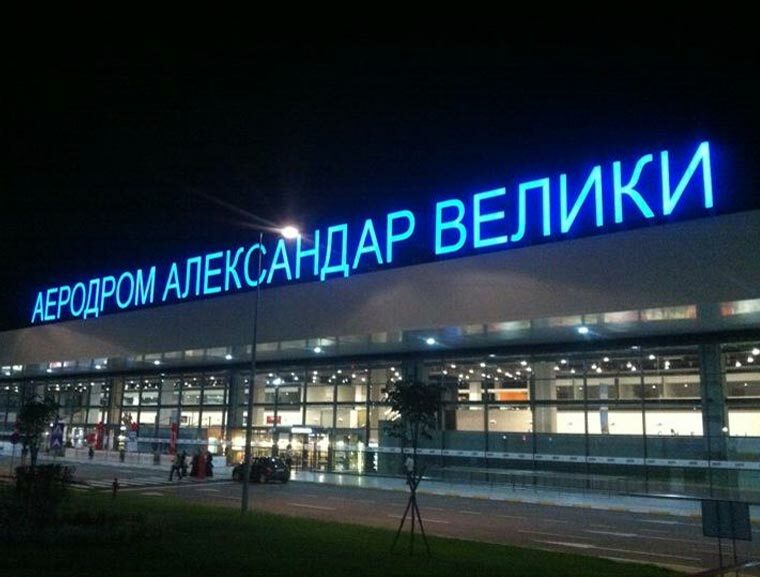 If you arrive in the airport, you can find a taxi or a bus line to get to Skopje. You may wish to grab a rental car. However, if you decide to take the bus-line shouldn't be over 2.5EUR. Trains also connect Skopje to Belgrade, Thessaloniki, Athens and to Ljubljana. The express route Vienna-Thessaloniki passes through Skopje twice daily, once going to Thessaloniki and second time returning to Vienna, passing though Belgrade and Ljubljana. The Skopje railway station is 15 min walking from the main square Makedonija. 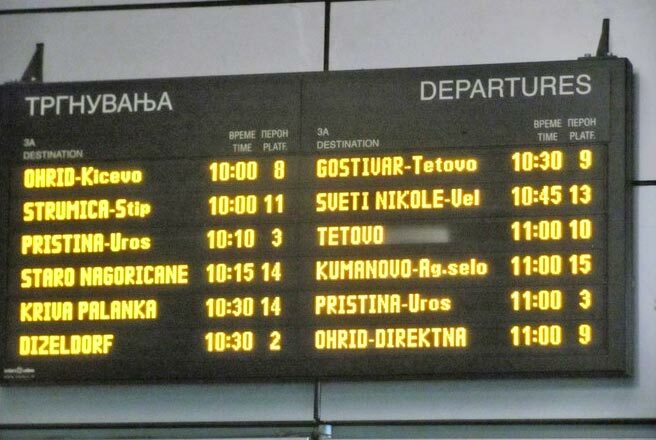 In Skopje, oficially there is one bus station at the transport centre and most of the buses arrive/depart from here. The bus station is 15 min walking from the downtown. However, some international routes still operate from: the old (near the Kale fortress), the city Museum and at the promenade near Holiday Inn hotel. Buses connect Skopje to the rest of the Macedonian countryside as well as, Sophia, Tirana, Pristina, Belgrade, Nish, Istanbul, Ljubljana and others. A bus to the other destinations in Macedonia is at every 1-2 hours, while international can be once or twice daily. Taxis are available throughout the city and can be found almost at every corner, 24 hours a day.Taxi in Skopje is very cheap. However some tips may be of your assistance; try to avoid the taxi drivers nagging you at the bus/railway station, who will try to convince you to use their services. Unless you have too much money to throw away, you shouldn't take their advice. Have in mind that, taxi in Skopje from the city centre to the peryphery in a rush hour can be up to 500 denars (9 EUR), while usually takes 300 denars (5 EUR). Be careful to the price you will be asked to pay for taxi rides, as there are few controls and the drivers may decide the price on their own. Most taxistst are honest and cabs should be metered. Expect some drivers to refuse to take you to nearby places! All international car rental company are present in Skopje Macedonia Hertz, Alamo, among many local rent a car services.